Classical guitars have a rich and storied history. Smaller-bodied, with a wider fingerboard and nylon strings, these instruments are often ideal for the finger-style player. Easier on the fingers and lighter in weight, these guitars often appeal to those just starting out as well to those seeking a softer sound and more comfortable feel. Typically associated with classical music, these guitars work well with many genres. Leonard Cohen, Jerry Reid, Willie Nelson and Lauryn Hill have all performed and recorded with nylon-string guitars. Established in 1997, Cordoba Guitars is known for its combination of traditional craftsmanship with modern developments. Crafted in the tradition of Spanish guitar makers, Cordoba offers a wide range of instruments from the beginner through the professional level. 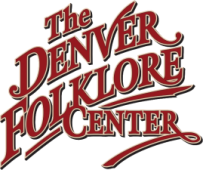 Cordoba is the classical guitar of choice at the Denver Folklore Center. The consistent quality, beautiful combinations of tone woods and outstanding sound make for a great value. We also carry their newest cross-over models which borrow some of the features of steel string guitars for the player looking to make the switch. Ask our experts for more detail about Cordoba and our current selection.